a best seller and you could win an iPad! Here’s how it works—Purchase a copy of The Healthy Home on Amazon.com between March 27 and April 15 and e-mail a copy of your electronic receipt to contest@myhealthyhome.com. Not only will you receive a special Healthy Home pin at USANA’s 2011 International Convention, but your name will also be put into one of three special drawings for a chance to win one of three iPads! There will be an iPad drawing at the end of each of the three weeks during which Amazon.com will be reporting sales of The Healthy Home for possible inclusion on the top best-seller lists. So talk to your Preferred Customers (because they can participate, too), talk to your downlines, and talk to your uplines—spread the word and create a strategy to determine the best week for each of you to make your purchases. And if you plan on purchasing more than one copy of the book from Amazon.com, buy them one at a time and during different weeks to help bolster our chances of making the best-seller list and your chances of winning an iPad. Log on to USANAtoday.com for more information, full rules and details, and a list of FAQs. 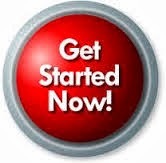 Opt-in and Get Your New Associates Off to a Great Start! Looking for a great way to entice your prospects to join the USANA family? 200 Sales Volume Point Promotion is just the thing you need! Log on to USANAtoday for full rules and details regarding this promotion. calling Customer Service by May 6, 2011. SALT LAKE CITY, March 24, 2011 /PRNewswire via COMTEX/ -- USANA Health Sciences, Inc. (NYSE: USNA) announced today that one of its top-rated supplements, CoQuinone(R) 30, has been evaluated and approved by ConsumerLab.com, LLC, a leading provider of independent product test results. 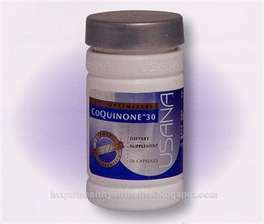 In a recent study, ConsumerLab.com determined that USANA's CoQuinone(R) 30 was found to contain its labeled amount of CoQ10. This study evaluated coenzyme Q10 (CoQ10) and ubiquinol products from various nutritional supplement manufacturers to determine whether they in fact contained the amounts of these compounds stated on their labels. The review can be found on the company's website at http://www.consumerlab.com/. In light of new FDA warnings against potentially unsafe supplements available on the market, studies like this help consumers and healthcare professionals make better decisions and more informed recommendations when it comes to supplements. 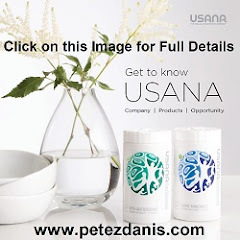 "This is the third year in a row that USANA products have received high marks from ConsumerLab.com," says Dan Macuga, USANA Vice President of Marketing and Public Relations. "Previously, we've earned approval for our Chelated Mineral, Mega Antioxidant, and Visionex(R) supplements. We're proud of how well our products have performed in independent testing from reputable third-party organizations." "There's a lot of research and development that goes into each of our products," says USANA Executive Director of Product Development, Dr. John Cuomo. "Not only do we use the highest quality ingredients possible, but we take quality control and testing very seriously at USANA." Recently, USANA was named the #1 Rated Overall Merchant Based on Customer Satisfaction and the #1 Rated Direct Sales Merchant Based on Customer Satisfaction in the 2011 ConsumerLab.com Survey of Vitamin and Supplement Users. Since 1999, CL has tested more than 2,900 products, 350 different brands and nearly every type of popular supplement in order to help consumers and healthcare professionals identify the best quality health and nutrition products. ConsumerLab.com is also the only third-party verification group that freely publishes its testing methods and quality criteria/standards. The festivities of USANA’s 2011 Asia Pacific Convention are drawing to a close, and it’s been an incredible time in Hong Kong. With all the excellent entertainment, information, and huge announcements, there are a lot of things for Associates to take home. But the biggest takeaway came from a game-changing announcement on Thursday. 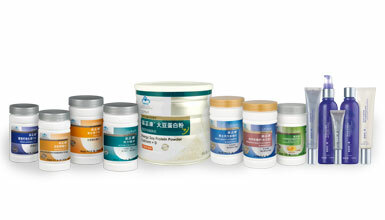 USANA products will be available in China, licensed through BabyCare. 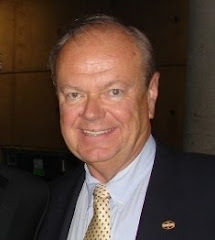 This announcement excited everyone in attendance, including Dr. Myron Wentz, USANA’s founder, who gave his endorsement during his time on the Convention stage. Starting with the announcement, four USANA products are now available in China: Essentials Men’s and Women’s Multi-Vitamins and Minerals; Soya Lecithin & Linolenic Acid Softgel; and Soyamax Energy Soy Protein Powder with Calcium + D.
These products will be available immediately, but in the near future, BabyCare will release five Sensé™ products into China—Gentle Daily Cleanser, Hydrating Toner, Daily Moisturizing Crème, Perfecting Essence, and Eye Nourisher. 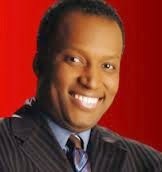 And the news gets even better! Later this year, even more USANA products will be available in China. Licensed via BabyCare, Poly C, Active Calcium, Proflavanol C60, and Hepasil DTX will make their way into the Chinese market. These USANA products will be available alongside the already stellar line of products currently available through BabyCare—products produced with the same focus on superior ingredients and manufacturing that have been hallmarks of the USANA for nearly 20 years. This shared emphasis on quality is what makes USANA and BabyCare such a perfect fit. Working together, USANA and BabyCare will continue to bring the highest-quality nutritional products to families in China, advancing a common goal of spreading health and wellness around the world. *The full version of MyHealthyHome.com is now live. After you read The Healthy Home, you’ll probably feel like you want to get your hands on all the information available that will help you make your home a safer place for your family. That’s where MyHealthyHome.com comes in. This interactive website closely examines several common household problems and offers solutions that you can begin implementing right away. The information goes beyond what is offered in the book, so you’ll definitely want to check it out to get a complete picture of how to develop healthier habits. MyHealthyHome.com also features updates about The Healthy Home in the media, as well as the latest news about possible hazards you can live without. If text isn’t your kind of thing, download Dr. Wentz’ audio segments on various topics related to health within the home. You’ll also want to check out the interactive quizzes available on the site. You can use them to see if you’re on your way to a healthy home, and you can update your score as you make positive changes. It’s a great way to track your progress. In order to utilize all of these features, you’ll have to register with a book code that you’ll find in the back of your copy of The Healthy Home. Without registering, you’ll only have access to a partial version of the site. If you want to give a copy of the book to a potential prospect, you must first register that book’s unique code as a “Secondary Book Code” on the Book Code Registration page of USANAtoday. That way, when your prospect registers on MyHealthyHome.com, the lead generated will be sent to you and not another Associate. You get to keep your contacts, and they get access to worthwhile information. Go to MyHealthyHome.com and check out all the incredible information today! When you buy a copy of The Healthy Home, the new book by Dave and Dr. Wentz, you’ll probably be excited about the huge impact it will have on your daily habits and the way you take care of the health of your family. You’ll look forward to learning about hidden dangers in every room of your house and the easy ways you can make your home a safer place. But don’t forget that you’re making a positive impact the moment you buy the book—one that affects much more than just your home. All of the author proceeds from The Healthy Home will go the Children’s Hunger Fund (CHF), which provides care and support for needy children around the globe. If you aren’t already contributing to CHF, make the decision to start today. For more information on how to donate, visit the CHF page on USANA.com or USANAtoday, or simply call Order Express at 1-888-950-959. 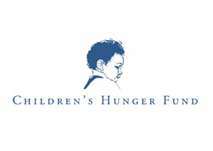 For more information on CHF, visit their website at www.childrenshungerfund.org. Network marketing is a business of making contact with others, learning what their concerns and needs are, and then sharing information with them about how, in this case, USANA can be the solution for their concerns and needs. Social media provides an excellent way to accomplish these steps with a large number of people, whether they live across the street, across the country or around the world, on a 24-7 basis. 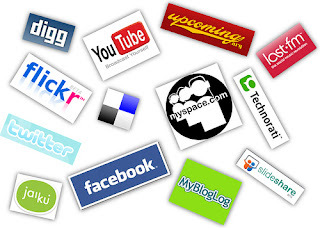 Our social media strategy is to establish a friendly, yet professional, presence on various social media. We share information about ourselves so that people can learn more about who we are and feel that they know us as people instead of just an online user name. We also post information and ideas (not necessarily related to USANA) that others can find to be of interest or benefit to them so that they think of us as a caring, helpful resource that they can be comfortable in communicating with. As a result, we have had success in introducing the USANA products and business plan to contacts we have made on social media sites, which have resulted in retail sales, PC enrollments and Associate enrollments. While we certainly make it clear that we are USANA Associates by including that information in background and biographical sections of our social media profiles, we are very careful not to post blatant advertising and solicitations in our messages. Such “spamming” is a turn-off to most people, and will severely damage your credibility quickly. Just as you would not walk up to a complete stranger on the street and ask them to sign up with you in USANA, you shouldn’t show up in a social media community and immediately start soliciting for customers or business partners. Over the years, USANA has gained significant credibility in both the nutritional and financial worlds, with more and more accolades coming in on a regular basis. Eventually, your social media contacts are going to come across these accolades, and one of your goals should be to capitalize on this credibility by making sure that as many people as possible think of you whenever they think of USANA. We use social media services as just one of many tools in our business building tool box, and do not rely on them as a primary business building method. As with any other business building method, becoming effective with social media involves a learning curve. Start slowly by setting up your online presence and exploring the services you are using. Become familiar with all of their features and policies so that you can become a good “citizen” of the social media communities you become a part of. It is also important for you to have an online presence separate and apart from social media sites. 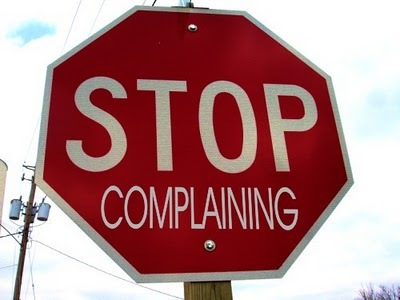 A good example would be a USANA webhosting site. Make sure that your webhosting site is as professional, attractive and interesting as possible. When a social media contact asks you for more information about USANA, you will then have a place to send them, and information to share, prior to speaking with them on the phone or in person. Most of all, be patient. It takes time to develop a group of friends and followers on social media sites, but it will definitely pay off over the long term. In their exceptional, informative book The Healthy Home: Simple Truths of Protect Your Family From Hidden Household Dangers, son and father team Myron Wentz and Dave Wentz tackle the topic of toxins from room to room, starting with the bedroom and ending with the garage and yard. “Every second of every day, we face an onslaught of unnecessary dangers—toxic chemicals, negative energies, unforeseen side effects, and more—in our modern world,” writes Dave, the younger Wentz. Their book is an excellent, comprehensive resource to learn how, exactly, we go about protecting ourselves from all the toxins. Following are just 20 of the simple solutions they pepper throughout the book. Cut down on the wrinkle-free materials. Five minutes of ironing will spare you from a lifetime of PFC exposure. Train and trust your nose. Of all our senses, smell makes the most direct connection between the outside world and your brain. Use one-half cup of white vinegar in place of fabric softener in the washer to reduce static cling and soften clothing. Unwrap and air out your dry-cleaned garments for at least two days in an exterior area, like a garage—never is a closet or bedroom. Whenever you launder your sheets, open your windows and leave your mattress exposed in order to allow your bed to off-gas for the day. Unplug your electronic gadgets and appliances when they aren’t being used. Buy nightlights, alarm clocks, and other bedroom electronics that are illuminated with red light, which is less disturbing to melatonin production than white or blue light. Open a window whenever you can to let in some fresh, cleansing air. The air outside is cleaner. Cut down on toxic preservatives like parabens, phthalates, and formaldehyde by first replacing products that sit on your skin all day—like a moisturizers—with more natural, preservative-free alternatives. Avoid aerosol products that have non-spray alternatives. If you must use aerosols, open a window and run your bathroom fan. Wash products off your face as soon as you get home instead of waiting until bedtime. A few additional chemical-free hours each day could add up to more than six years over a lifetime. Don’t use antiperspirant during cooler months or on weekends when it doesn’t matter if you sweat a little. If you’ve been exposed to mercury, consider taking a supplement containing N-acetyl-L-cysteine (NAC) and alpha lipoic acid to aid in detoxification. Give your immune system a boost with the beneficial bacteria found on a probiotic supplement. Just be sure to look in your pharmacy or grocery store for a product that contains “live and active” cultures. Avoid buying products that contain triclosan and its chemical cousin, triclocarban. Simply wash your hands with regular soap and water to get rid of germs. Start with good antioxidant protection, supplemental B vitamins, omega-3 fatty acids, and lots of CoQ10. Also, try one or more of the foods that have been shown to lower cholesterol, such as steel cut oatmeal. Start each day with an alkalizing glass of lemon water by squeezing a fresh lemon (no sugar) into purified water. Make sure you include the pulp. Trade in your table salt for natural sea salt, which contains a mixture of alkaline complexes. And use pepper or other spices to liven your meals. Maintain a good distance—at least ten feet in front or five feet to the side—between yourself and the microwave when it’s on. If you must use a PTFE-lined pan, keep your stove’s burner on medium or lower. Also, never preheat an empty pan. If you plastic wrap, ensure it’s LDPE-based plastic, and regardless of what type it is, never use it in the microwave. Purchase reusable grocery bags made of natural materials such as cotton and use them as often as you can. Use a pitcher with an activated carbon filter to reduce contaminants in your water. Although it won’t filter out all pollutants, it’s a good start at a low cost. If you are cleaning with products that you wouldn’t eat, wear gloves! Instead of using an aerosol freshening spray, mist your room with real citrus scent,. Simply pour a few drops of orange, lemon, or lime essential oil into a spray bottle of water. Buy the best vacuum you can afford. 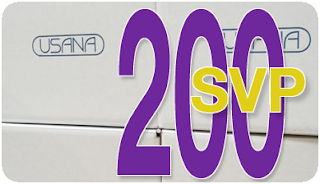 Optimally, get one with a HEPA “completely sealed” system. Use a regular, corded telephone when at home or at work. Cutting even 20 percent of your daily RF exposure is a step in the right direction. If you have Ethernet ports in convenient areas, you can access the Internet using good, old-fashioned wiring. Don’t set your car’s air conditioner or heater to recirculated air. Selecting the outside air option on your dashboard will reduce the number of pollutants you’re circulating inside the car. Take a daily vitamin D supplement with at least 2,000 IUs (International Units) during the winter or year-round if you can’t get out into the sun each day. Plant a large, diverse range of plants in your yard—native species are best. The more the merrier and healthier. Therese J. Borchard is Associate Editor at Psych Central, where she contributes to the blog, World of Psychology. She also writes the daily blog, Beyond Blue, on Beliefnet and blogs for Blisstree.com. Therese is the author of Beyond Blue: Surviving Depression & Anxiety and Making the Most of Bad Genes and The Pocket Therapist: An Emotional Survival Kit. Subscribe to her Psych Central RSS feed, Beliefnet feed, or Blisstree feed. Visit her website or follow her on Twitter @thereseborchard. Jerry, I know I told you I was going to do it for the last 5 years straight, but this year is different because I know I'm ready to go to the top... 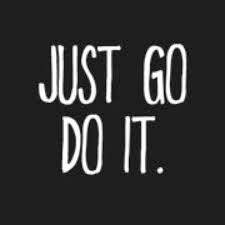 Yes, I remember, Now Go Do It! Each copy of The Healthy Home comes with a unique book code. These codes are your gateway to linking the books you give to prospects back to you. Each copy of The Healthy Home contains a unique book code, located in the back of the book. People who read the book can register their book codes on myhealthyhome.com to access additional content. MyHealthyHome.com includes interactive quizzes, ways to score and track your progress as you make positive changes in your own home, and much more. It’s the perfect complement to what is already a powerful educational tool. These book codes are of even greater value to Associates like you. Your personal book code is your access code to participate in upcoming contests and promotions. More importantly, the codes in additional books you give to prospects serve as a way to track your contacts back to you. If you give a copy of The Healthy Home to a prospect, that lead will not be given to another Associate, even when that prospect registers on MyHealthyHome.com. MyHealthyHome.com—Anyone with a book can register their book code here to unlock content and special features. Book Code Registration page on USANAtoday—Associates can register their book codes to participate in contests and promotions, and to track books given to prospects. Example: Jane is a USANA Associate who purchases a copy of The Healthy Home . She goes to the Book Code Registration Page and registers the code in the back of the book as her “Primary Book Code.” She keeps the book for herself, and uses her primary book code to register on MyHealthyHome.com and to enroll in USANA’s contests and promotions. *Each book code may only be used as a primary book code once. When you purchase additional copies of The Healthy Home to give to friends and prospects, the first thing you should do is register the code from each book as a secondary book code. This ensures that the contacts generated from each book you distribute will be tracked back to you. If you purchase 10 extra copies of The Healthy Home (in addition to your own personal copy of the book), then you must register 10 different secondary book codes—one code for each book. If you fail to register a secondary book code, and then give that book to a prospect who registers their personal information on MyHealthyHome.com, that contact could be given to another Associate. Example: Jane purchases additional copies of The Healthy Home to give to her friends. She immediately goes to the Book Code Registration page and enters each book code as a “Secondary Book Code.” Jane gives the books to her friends and tells them to visit MyHealthyHome.com for incredible interactive information. Several of her friends visit MyHealthyHome.com and request more information about USANA. The leads generated are then sent to Jane, since the book codes belonging to those contacts are linked back to her. *Each book code may only be used as a secondary book code once. You’ve bought copies of The Healthy Home —now what do you do? Keep one copy of the book for yourself. Register the book code as your “primary book code” to participate in USANA’s upcoming contests and promotions. Register the book codes of all the other books as “secondary book codes” to protect your leads. Keep your receipts. There will be random audits. Be sure to write down the codes for books you’ve purchased on your receipts. Read The Healthy Home . Visit MyHealthyHome.com. Distribute extra copies of the book to your friends and prospects. For information on using The Healthy Home to prospect, visit the Prospecting page. Be sure to sign up for The Income Maximizer™. You will be notified of generated leads via eCard, which can then be tracked using USANA’s Follow-Up Assistant. Follow-Up Assistant and eCards are only available through a subscription to The Income Maximizer. Q. What happens when a prospect who is given a copy of The Healthy Home enrolls as a new Associate? How can they get a primary book code to participate in contests and promotions? A. The Associate who originally gave that prospect a copy of The Healthy Home should have registered that book’s code as their secondary book code. When the prospect enrolls as a new Associate, they can then use that same book code as their own primary book code. Remember, one person’s secondary code can become someone else’s primary code, but one person’s secondary code cannot be another person’s secondary code. Q. Who gets the leads from unregistered book codes? A. Leads generated from books that are not registered as another Associate’s secondary book codes are considered “unregistered” and will be assigned to members of the Founder’s Club. *The full version of MyHealthyHome.com will go live on March 19.